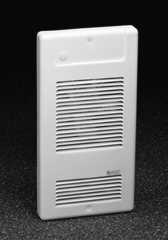 Thermalinc:Indeeco WLI Electric Wall Heaters! 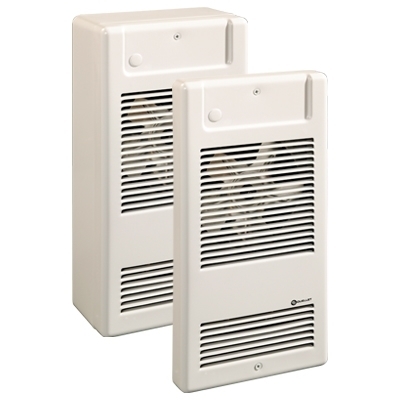 The WLI heater is ideal for hallways, bathrooms, kitchens, basements, and any room where space is limited. This high-efficiency heater has a silent axial fan that blows air over a durable tubular heating element with fins producing warm air circulation throughout the room. The heater's clean lines and rounded corners blend well with all interior styles. It can be recessed in standard 2 x 4 constructed stud walls or surface-mounted using the surface box. Colors other than White are always non-stock items and Require 2 weeks delivery. 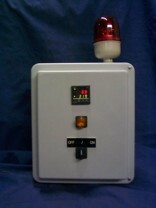 120 or 240/208 volts, 1 phase. 40 cfm fan on units of 1000 watts. 80 cfm fan on units of 1500 and 2000 watts. Built-in tamper-proof hidden thermostat available. May be recessed in 2 in. X 3 in. stud wall. Quick installation with recess box mounting holes. Tight fit with V-shaped recess box.